Ever wondered how it would have been to live in the 15th century and be part of one the big trading enterprises of that time, when most people still thought the world would be flat? People were afraid of the waterfalls at the edge of the world as most of the world was not charted at all. Well Neo ATLAS 1469 gives you that chance and puts you at the head of a global trading company with the permission to exhibit trades from all over the world. When you start the game, you’ll be put at the head of a global trading company in 1466 and you’ll see the tragic story of Antonio Gomez, one of your trading company’s former admirals that has been overtaken by a band of pirates. In-between 1466 and 1469, you’ll get the task to rebuild your trading company by hiring new admirals and finding the shipwrecked admiral Gomez. This is all part of an hour-long tutorial to explain everything you can do. When you are not fast enough in completing the tasks in the tutorial, they will be completed automatically as time progresses. The tutorial will end when you’ve reached 1469 and Antonio Gomez is back as an admiral at your trade company and then it’ll all be up to you what to do. The people in Europe don’t know a thing of what’s outside of their own continent. 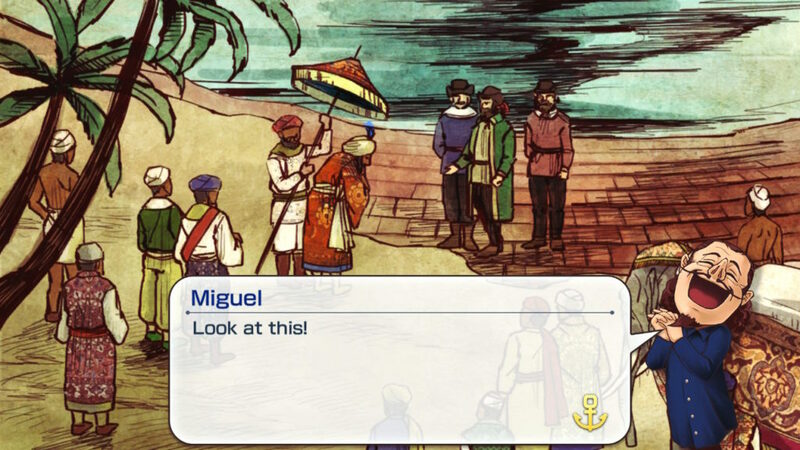 The king of Portugal gives you the task to explore the world and find the fabled land of Zipangu, the land of silver and gold, while also thriving in the trade business. 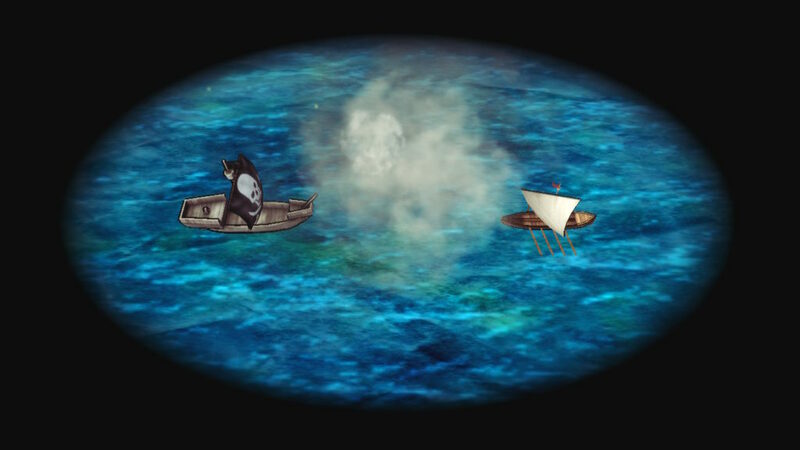 The story will progress in time and when you reach certain points and by completing events. Each important moment that happens on your journey across the world will be commemorated as an historical point. These will be green flashing points on the map, and you can click on them to see what exactly happened there. 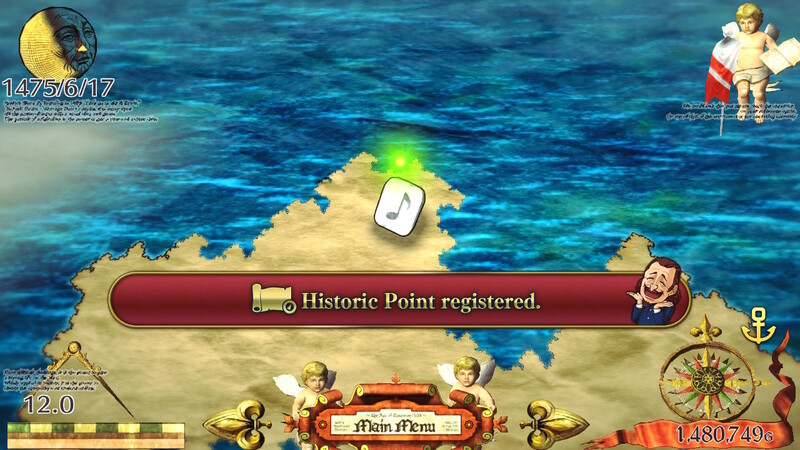 The graphics of Neo ATLAS 1469 are okay for this type of game. The map is detailed enough to recognize where you are. 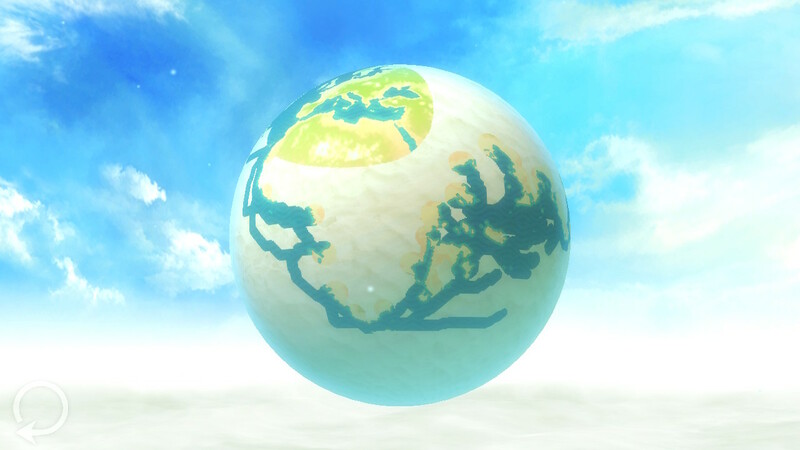 Items and places will be displayed on the map as treasure chests. By clicking them, these will open. Zooming in on the map is necessary for new locations of towns and treasure chests to be visible, even zooming in to the maximum. Sometimes, it will take you a long time to find new things on the map because you need to zoom in that much and searching around a continent in this view isn’t that easy. The menu is designed in a simple and clear fashion. The angels that are always on the screen could have been designed better as these just look ugly. All characters involved in the story of the game are all drawn in cartoon style and these look perfect. 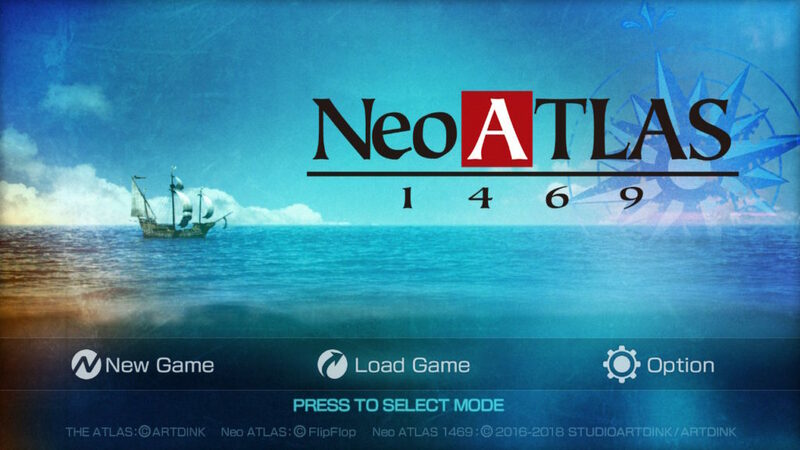 Neo ATLAS 1469 is a strategy simulation game in which you are the master of a trading company starting from 1466. The purpose of the game is to find Zipangu, prove that the world is round, and bring your trading company to the top by trading products all over the world. You begin with an hour-long tutorial that will take you through all controls at an easy pace. All the menus will be explained when you first get there. Almost every option will be locked upon starting the game, and these will all be gradually unlocked in this tutorial. This will also mean that won’t be able to save the game up to a certain point, which can be annoying if you need to stop mid-tutorial. By clicking on products next to towns and cities, you will unlock that product for trading. By permission of the Portuguese king, your trade company will have the trade license to transport all products from everywhere around the world. Clicking on treasure chests will reveal what it is. These can be caves, special areas, items that you can equip to your exploration fleets, plans for new ships and many other things. Discovering something will always result in earning you money, these can vary from 10.000 gold and up. A list of episodes is available from the beginning. Only the ones you’ve started will be shown and the rest will be indicated by question marks and stars indicating the rarity of the quest. When stumbling upon a special location when opening a treasure chest, that could result in acquiring a new quest. The most main quests will be unlocked automatically as you know what you need to do to complete the main story, but all the others need to be found by yourself. As a trade company, trading is very important to earn money. As you explore more parts of the world, you’ll find new towns with new products you can trade. You can create a trade route from point A to point B and you need to select a vessel to transport the products with. After you’ve selected this, the profit and the time it will take to make one round-trip will be shown, making it easy for you to see if it’s worthwhile to create that trade route. Trading a product to a place where the product of that place can be combined into a new product (for example: trading pearls to a place where rings are made, then pearl rings will be crafted there) which can also be traded again to increase your profit. Everything around Europe is covered in fog. This fog will be removed by sending out exploration fleets to discover those areas. When they return, you will get a report of what they’ve discovered along the way. When they stumble upon land, they will get a little bit closer and then open an area of fog, revealing everything in there. It’s up to you to approve or disapprove this report. When you approve this report, the exploration ends there. If you disapprove this report, you can immediately send that fleet on the same exploration again. The second time can be totally different as it will be randomly generated. Disapproving these reports will then result in the creation of a totally different world than the world we know. This can lead to a world map filled with small islands or one huge continent. Thus, it will be up to you, how the world will eventually look like in some way. An exploration fleet can also be used to engage hostile enemies like pirates, kraken and other beings. 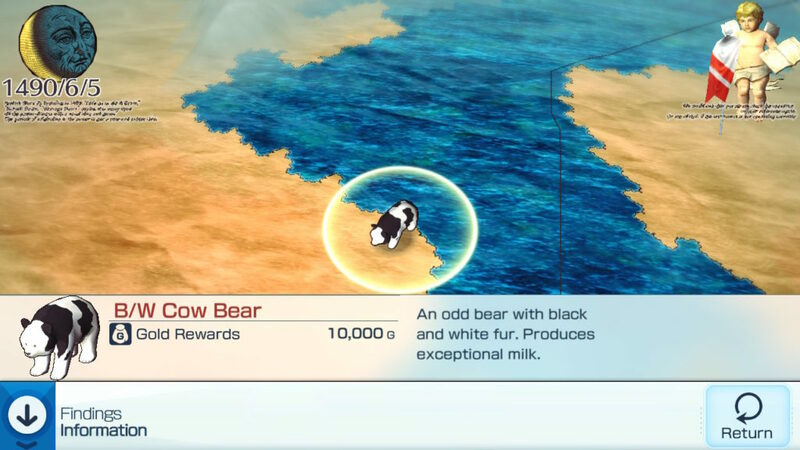 If these are not dealt with, they can interfere with your trading routes and thus, decrease your profit. As you progress in your exploration, you will unlock new plans for ships you can use for your trading ships, exploration fleets and battle ships. These new ships will be faster, are able to carry more load and have better weapons to defeat those pesky pirates. Neo ATLAS 1469 can be a fun simulator game if you like to discover a whole new world and create one of the best trading companies of that time. The tutorial in the beginning can take a bit long and you will be interrupted a lot while going through it. After completing that tutorial, you are free to do whatever you want. The game gives you a lot of freedom and this can be very enjoyable. Experiencing the stories of your admirals can be a fun experience as well. The game isn’t filled with a lot of action as your position is more in the background of the whole company, but you don’t actually miss that in this game. If trading, discovering and completing the world map and creating historical moments piques your interest and, then Neo ATLAS 1469 is definitely worth buying as it’s a great game that combines a lot of elements in one package.